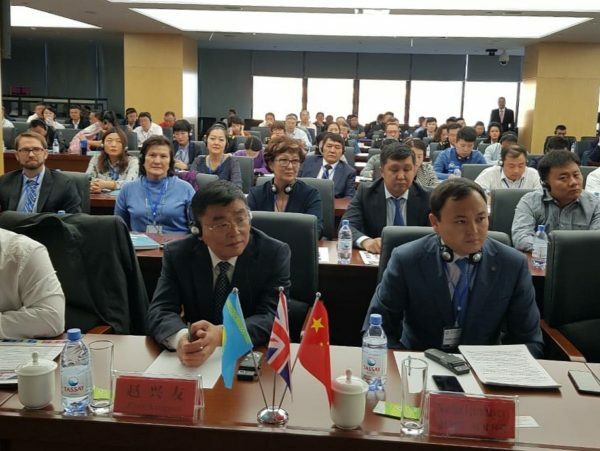 This September saw Kazakhstan and China join forces for the Chartered Institute of Logistics and Transport’s first Khorgos International Convention. 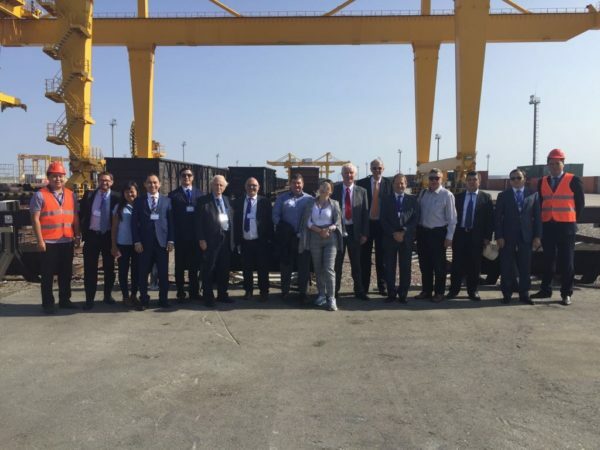 Organised under the theme of Logistics & Transport Co-operation for the Belt & Road Strategy, and held at the International Centre for Cross-Border Co-operation (ICBC) Khorgos, the convention featured an array of expert speakers drawn from business, government and academia. The event commenced with a series of welcome messages, first from CILT International Secretary General Keith Newton, followed by CILT International President Kevin Byrne who spoke of the importance of co-operation, and how the Khorgos International Convention, with speakers from China, Kazakhstan and across the world, truly encapsulated CILT’s core values of being ‘Stronger Together’. 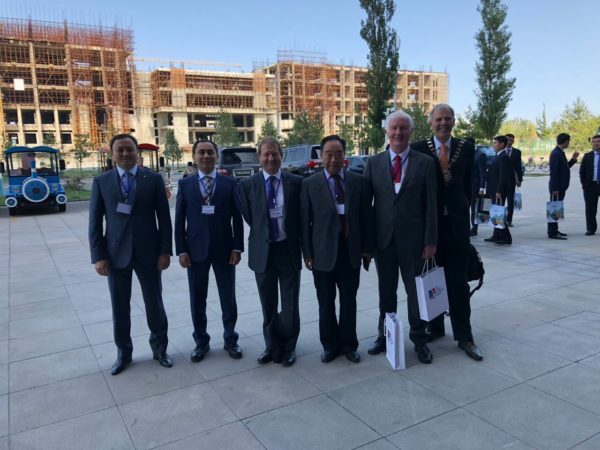 Following Mr Byrne were Professor Wang Derong, President of CILT China, Kaharman Jazin, President of ICBC Khorgos, Zhao Xingyou, Deputy Mayor of Xuzhou Municipal People’s Government, and Jiensi Hadesi, Mayor of Khorgos Municipal People’s Government, who described Khorgos as a ‘city of co-operation…that provides a window of binding together’ between nations. The rest of the convention was divided into three sessions. 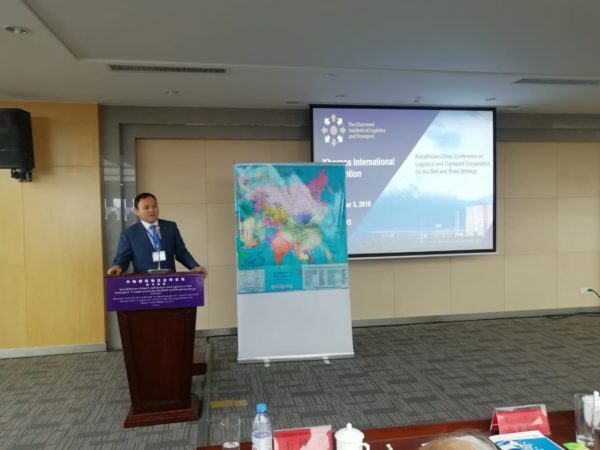 Session One, entitled Belt & Road – the Development of Logistics and Transport Infrastructure, was led by members of CILT China, and opened by Bie Jiaxin, Vice President and Secretary General of Shaanxi Logistics Society. Mr Jiaxin discussed Prospects for the development of regional economic integration between China and Kazakhstan, citing a need to focus on ‘the ease of doing business’ across all sectors, including e-commerce, policy, finance, transport, technology and human relationships. 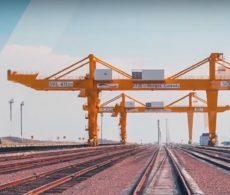 Second to speak was Song Xuexin, CEO of JCtrans Logistics Network, whose presentation entitled Assist One Belt and One Road, Build CHINA RAILWAY Express discussed a technology platform involving over 5000 businesses from both sides of the border designed to ease trade between Kazakh and Chinese companies. The final speaker was President of the Yuanfu Logistics Group, Li Jun, who cited Confucius’ maxim ‘If you want to be rich you must build roads’, and the continued expansion of the Chinese middle class in his discussion of growth potential in markets linked to the Belt & Road. 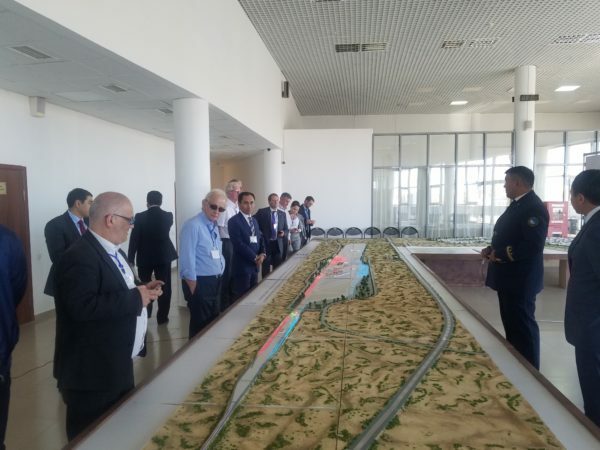 Session Two, entitled The Role of Kazakhstan in the Development of Logistics and Transport Infrastructure, and led by CILT Kazakhstan was opened by Dr Nurlan Igembayev, Vice-President of Business Development at KTZ Express and President of CILT Kazakhstan. Under the title The Role of Kazakhstan in the Development of Logistics and Transport Systems, Dr Igembayev discussed the potential leading role of Kazakhstan in the development of Eurasian transportation and logistics systems, and how the interfacing of Kazakhstan’s Nurly Zhol State Program and the Chinese Belt & Road Initiative will form ‘a new architecture for transcontinental corridors’. 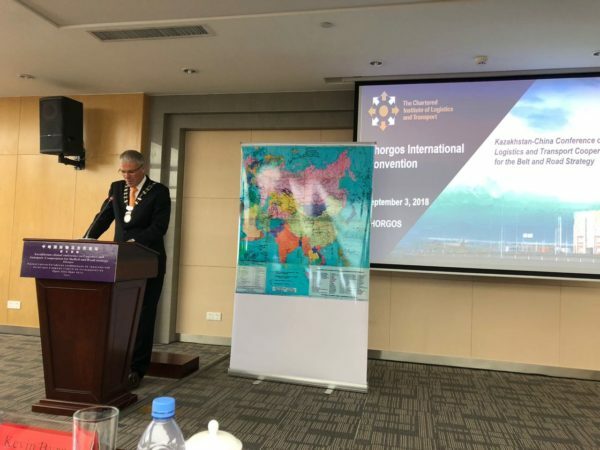 Following Dr Igembayev, deputy CEO of the dry port Khorgos Gateway Liu Chuntian described Khorgos as ‘a place where East meets West’, and updated conference on the evolving standards and capabilities of the port. Mr Chuntian explained that traffic on the route, which takes 10 -15 days less than its maritime equivalents, has doubled over the last year and there is capacity for much more growth. Closing the session, Professor Yerkin G. Abdildin of Nazarbayev University discussed his work developing Mathematical Model for Solving Optimization Problems in Transportation and Logistics. Professor Abdildin, who is Associate Professor of Engineering, is an expert in Decision Analysis, Risk Analysis, and Computational Science, with a particular interest in applications for energy, bio-mechanical, financial and transportation systems. The final session of the day, entitled Delivering the Belt and Road Initiative in Partnership – Schemes, Skills and Solutions, was led by CILT International. The session opened with a presentation by Mr Ian Mills, Ports & Logistics Consultant at Lawrence Mills Ltd. In a presentation entitled The Role of Northern European East-West Connections in the Development of Global Trade, Mr Mills discussed how the creation of the Belt & Road could lead to a paradigm shift in UK national logistics. Citing the Liverpool-Humber Optimisation of Freight Transport (LHOFT) study being performed by the University of Hull and P&O Ferries, Mr Mills demonstrated the viability of alternative routes for cargo into the UK, notably via train from Duisburg up to northern Holland, Belgium and Germany and then onto a ferry into the Humber or Teesport, as well as from Kazakhstan up to the Baltic, and then on a ship to the northern ports. Closing the session, Mr Jon Harris, CILT International Professional Development Co-ordinator, discussed The Importance of Developing Strong Skills Sets along the Belt and Road, and highlighted the importance of ‘ensuring there is a focus on developing the skills needed’ to support the Belt & Road and Nurly Zhol Initiatives. CILT International is grateful to everyone involved in making this event such a success. Get the inside track on Session Three of the first Khorgos International Convention.